Are You Facing Wage Garnishment? Let Our Massachusetts Bankruptcy Attorneys Help Provide You a Fresh Start! 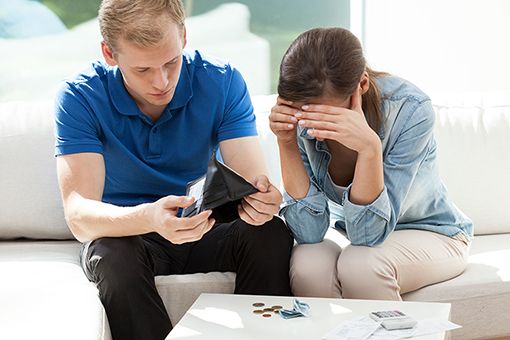 Wage garnishment can turn a tough financial situation into an impossible one. When income is tight, the added pressure of a smaller paycheck often becomes the tipping point. A bankruptcy lawyer from our law firm, will work for you and help turn things around! Don’t wait any longer, get the legal help you need today! How Do I Stop Wage Garnishment in Massachusetts? Often, wage garnishment stops immediately in most bankruptcy cases. What is called an “automatic stay” stops most collection attempts, including lawsuits, debt collection calls, legal letters, and yes even garnishment of wages! When you work with a Bankruptcy Attorney from our Law Offices in Massachusetts, we give our clients the ability to fight back. Don’t let the large financial institutions push you around. Our law firm in MA, will put our decade of experience to work for you. From the moment you call, rest assured, you will be dealing with an experienced and knowledgeable bankruptcy attorney. Contact Our Law Office Call Day/Evenings! Having an involuntary wage garnishment in Massachusetts placed upon you, can most definitely cause tremendous stress on the ability to pay your daily living expenses. Wage garnishment can be embarrassing and unbearable, however, you have options! By filing bankruptcy protection, you can stop wage garnishment and gain a new fresh financial start in life. What is Wage Garnishment in Massachusetts? An involuntary wage garnishment in MA, is a legal way to satisfy unpaid debt. This is accomplished by attaching the garnishment to your wages. Most garnishments in Massachusetts require a court order, however, some can be placed without a court order. There are a variety of ways the creditor can seek to satisfy the debt. 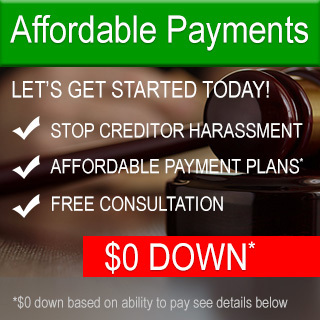 The creditor can try and put a lien again your real estate, freeze your bank account, and/or seek wage garnishment. Even more troublesome, you employer can get involved in your financial affairs. Your employer, in many cases, will be responsible for deducting wages from your paycheck and follow other aspects of the court order. It can be very beneficial to file bankruptcy before garnishment begins! In most cases, you cannot get wages back, that were attached before filing for bankruptcy in Massachusetts. However, you can get wages back that were garnished after the bankruptcy was filed – to the extent that they in-fact are exempt under the bankruptcy code. Please visit our Debt FAQ topics, to find out more. Call Today, We Can Help You! Do you have questions? We can Help you! Is Foreclosure A Real Possibility?